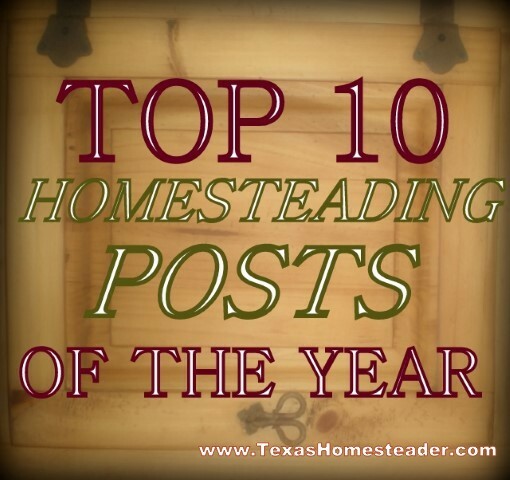 A while back we changed the name of our little ole blog to Texas Homesteader. There were many reasons for this, but mainly so that when I share a recipe or gardening tip, readers know right away what elevation or planting zone I’m referring to. 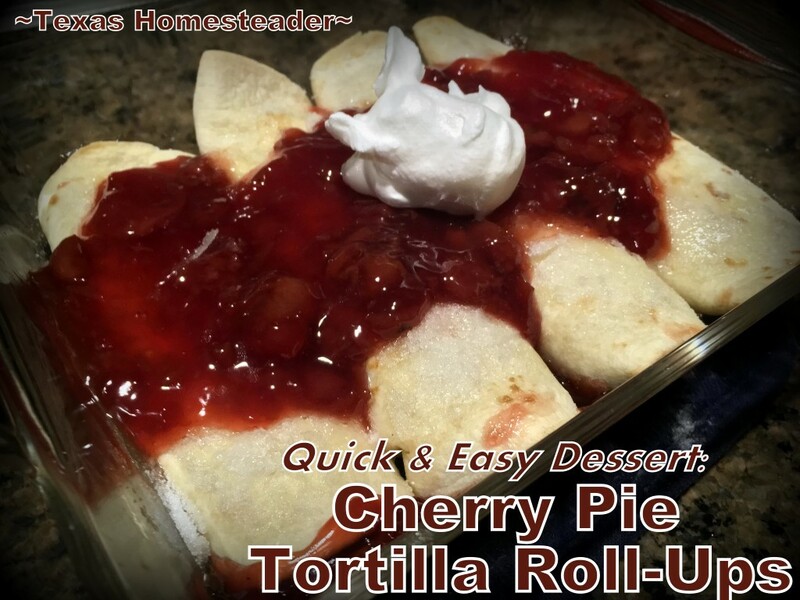 But whomever previously had the blog name ‘Texas Homesteader‘ before us apparently had some rockin’ jalapeno jelly. I’m constantly getting hits for folks looking for it. But I’m sorry to say it’s not here. Although we love, love, LOVE jalapenos in almost everything we eat, neither RancherMan nor I enjoy sweet/spicy combinations. But I do share some delicious jelly recipes on this blog. 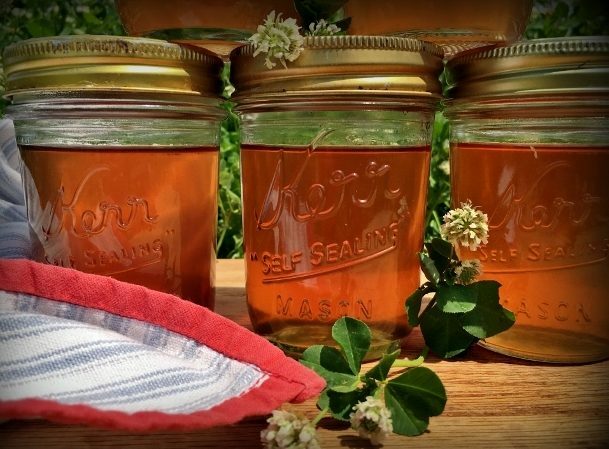 So if you’ve come looking for Jalapeno jelly recipe – sorry I can’t help ya. But I hope you stick around for some of the most delicious jelly (with EASY recipes) you ever hoped to find! 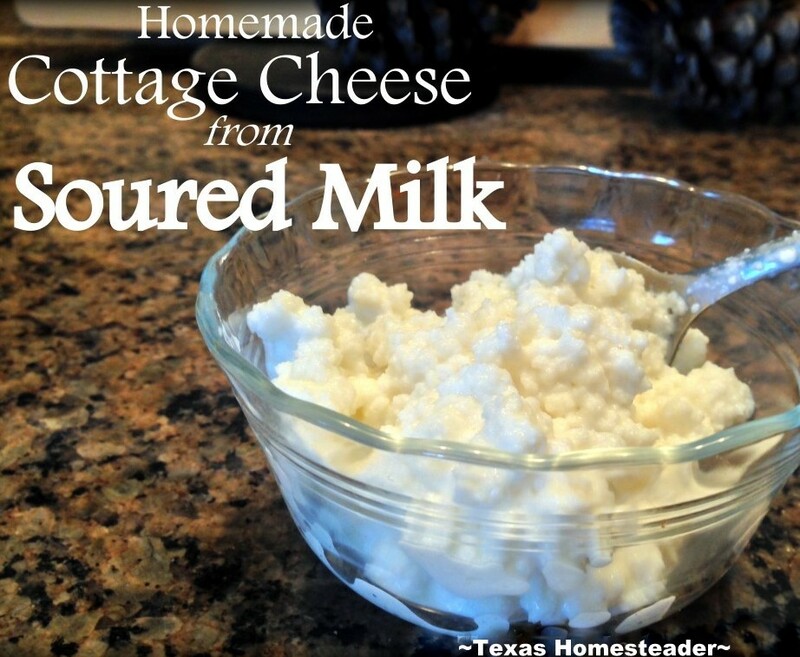 This entry was posted in Blog Posts and tagged Cooking, Recipes on November 25, 2018 by Texas Homesteader. The holidays are quickly approaching, y’all. This time of year is filled with many gatherings of friends and family, along with lots of good food. In our family we take turns hosting our family celebrations. The host family typically provides the main dish and all the guests bring their favorite side dish or dessert. That means there’s ALWAYS lots to eat during our big gatherings! 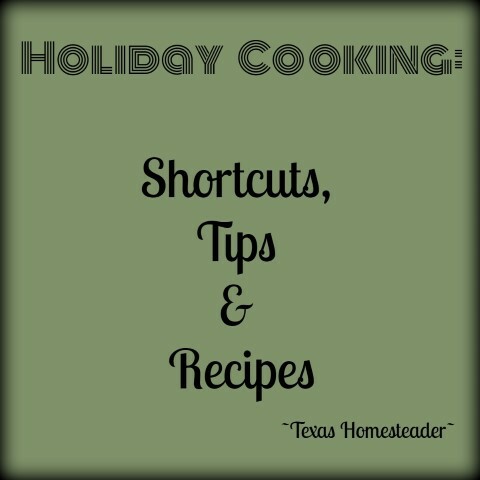 So I thought it would be helpful to share some holiday cooking tips & recipes that we typically enjoy during the holidays. 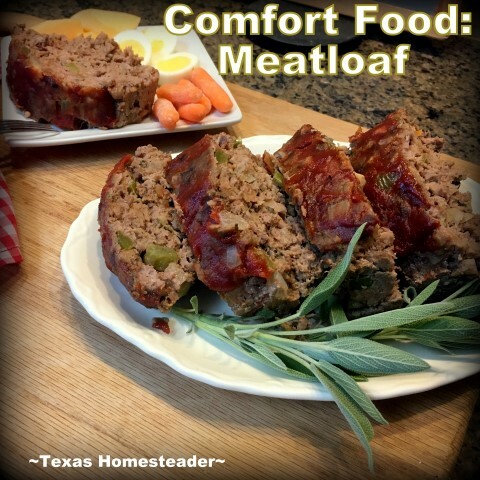 This entry was posted in Blog Posts and tagged Cooking, Holidays, Recipes on November 11, 2018 by Texas Homesteader. When I invite my parents for dinner, RancherMan often grills the main entree outside. There might be grilled chicken, steak or pork. It will be delicious of course, but what will I make to go with it? This is my mom’s (and RancherMan’s) favorite side dish. I’m lucky it’s so quick, so easy, yet so healthy. 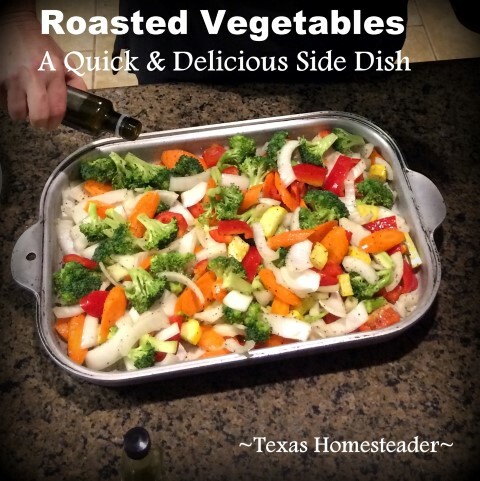 Roasted vegetables. 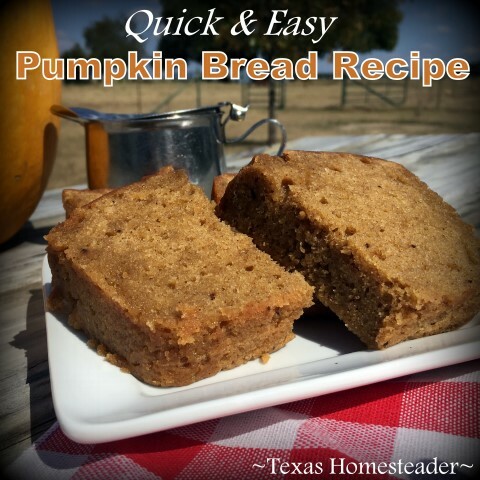 This entry was posted in Blog Posts and tagged Cooking on November 4, 2018 by Texas Homesteader. There are a few veggies that are really a powerhouse in the garden. Squash & okra come to mind. They’ll grow & produce in the most challenging weather, usually producing well enough for you to eat as much as you want & still have plenty to share with friends & family. I like okra either pickled or fried, but I’ve never gotten onboard with the mucilage texture inside of okra. So we didn’t plant okra this year. Luckily I was gifted with a bag of okra from a friend’s garden. So I got to enjoy okra without having a boatload to figure out what to do with it all! But along with this bag of okra was a recipe for okra fritters. 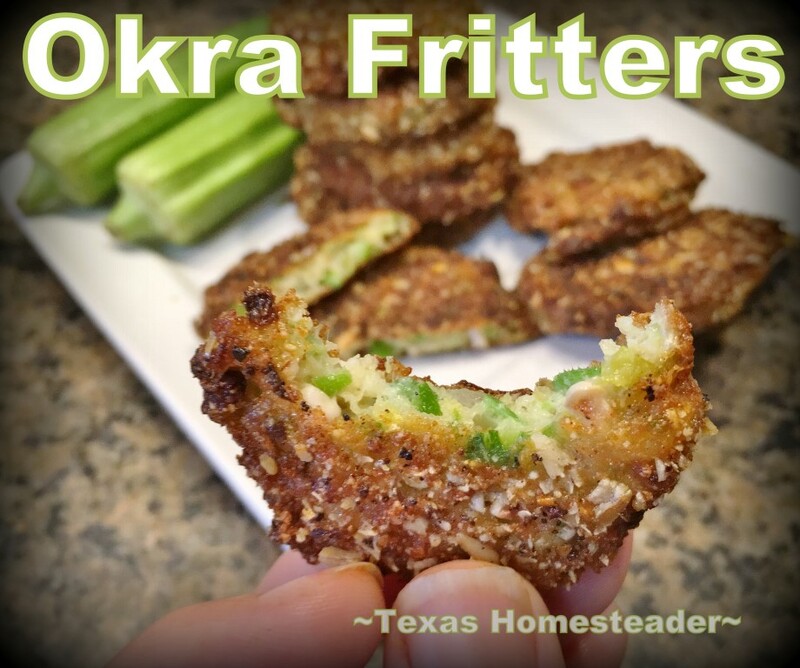 Okra fritters? I’d never heard of such. So RancherMan & I gave them a try – they were amazing! I asked my dear friend if I could share the recipe with you, and she agreed! I love milk so I always have some in my fridge. But sometimes travel or just the busyness of our lives means that milk sits in the fridge long enough that it’s not flavorful to drink anymore. It’s become lightly soured. 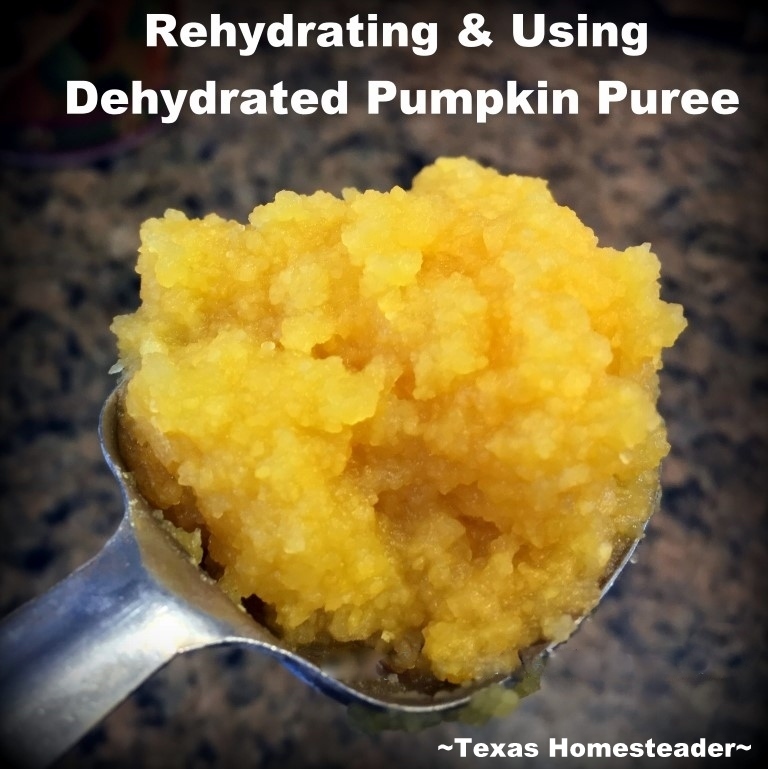 This entry was posted in Blog Posts and tagged Cooking, Frugality, Recipes on August 19, 2018 by Texas Homesteader.